The Quick Report is one of the newest features added to SimplyAnalytics – let’s take a look at how it can support your research. This report instantly provides you with a curated list of key data variables for any location or locations of your choosing. You can specify the report content you wish to view for your locations, such as a Demographic Overview or a Housing Overview. When To Use: Use the Quick Report to quickly gain insight into your target locations. 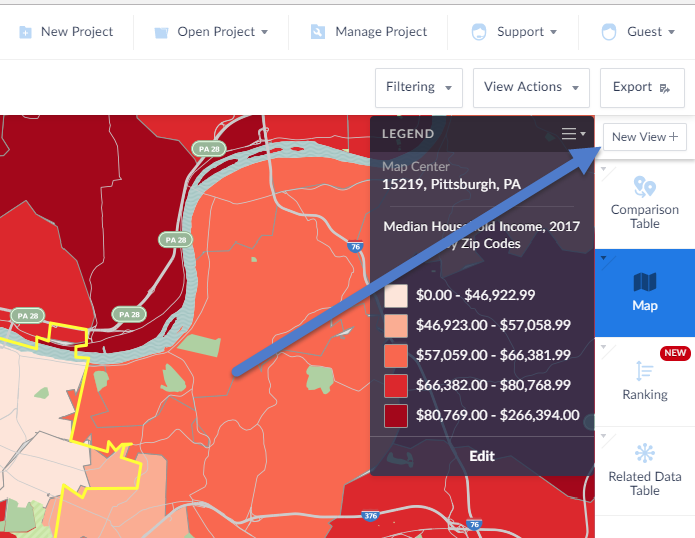 If you’d like to quickly view many key data variables for your locations this is a fantastic way to get started on your analysis and only takes a few seconds! How to Use: There’s only three steps to create a Quick Report. 3. Select the locations you would like in the report and click done (you can always add or remove locations later). 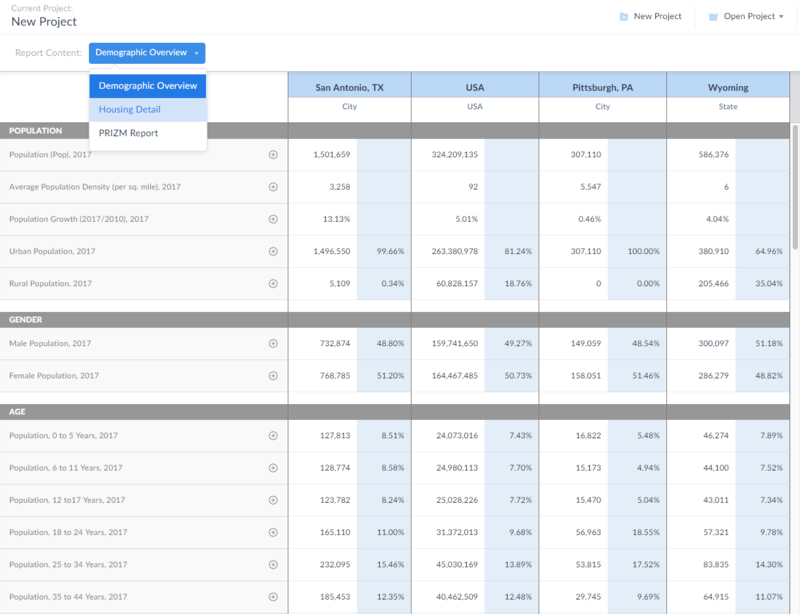 The report will automatically generate for you showing the Demographic Overview content by default. Feel free to select the “Report Content” dropdown at the top of the report to change the content you see. We hope you enjoy this new view. Stay tuned for more updates and see you at the PLA conference next week!